Head to business.bridebook.co.uk to update your Bridebook profile and complete your checklist to-dos now. 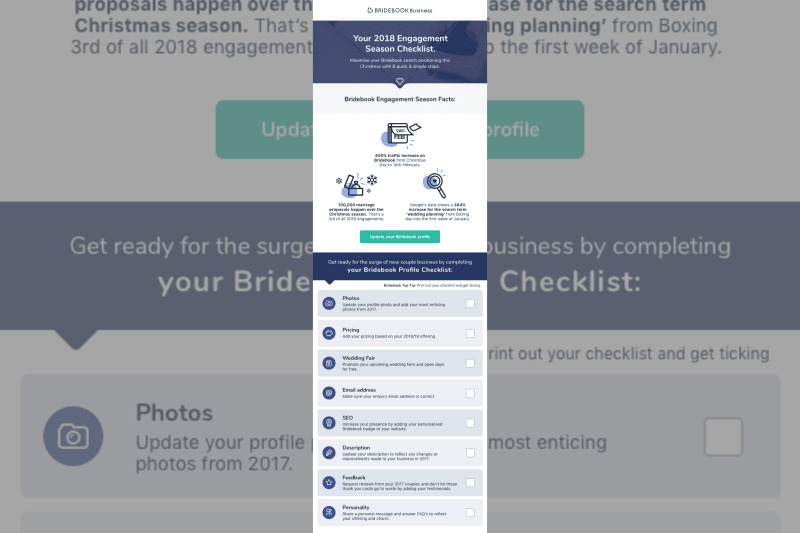 Download and print your own Bridebook Profile Checklist by pressing the link below. Please contact Beth at beth@bridebook.co.uk if you have any questions regarding updating your Bridebook profile, the Christmas engagement season or Bridebook Business.